My favorite items are the fun cork tabs, the puffy hearts, and the patriotic acrylic stars and hearts! 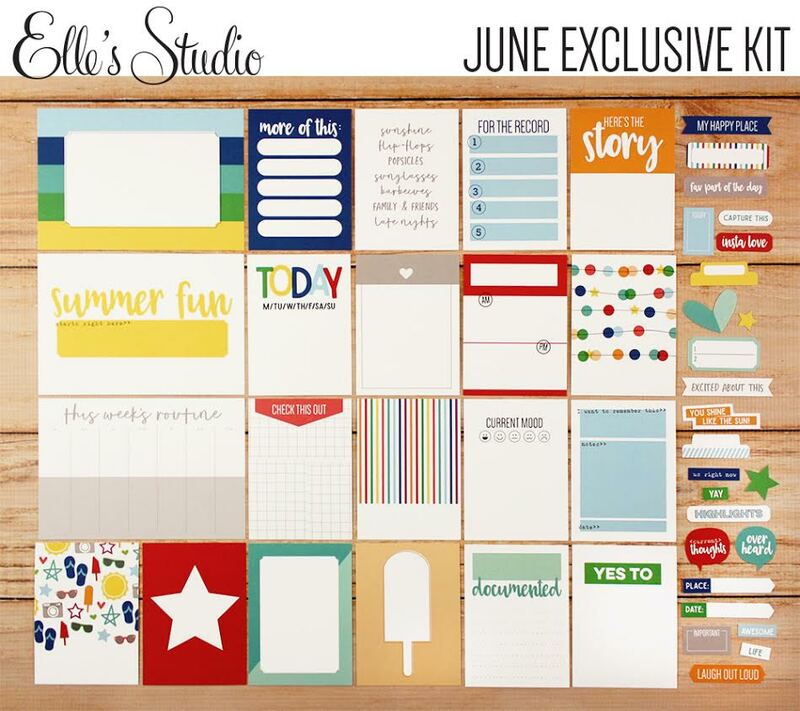 I created two layouts for this month's release, and I have a third one coming to the Elle's Studio blog this month! My first layout was inspired by one of the journaling cards in this month's kit! 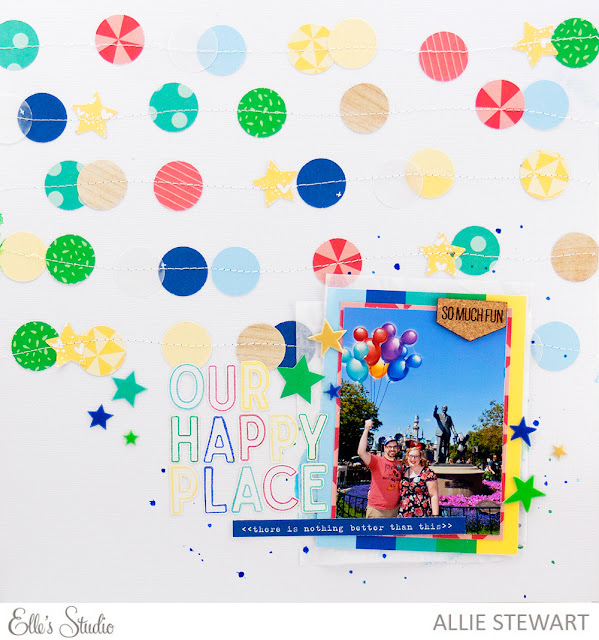 I loved the confetti look with curvy string, and replicated the look on my page. I punched out circles in colors that corresponded to the journaling card, and stitched them down onto the page. It was fun to not worry about keeping a straight stitch! Next, I stamped out my title using the Stanley Alphabet Outline stamp, and fussy cut each letter. 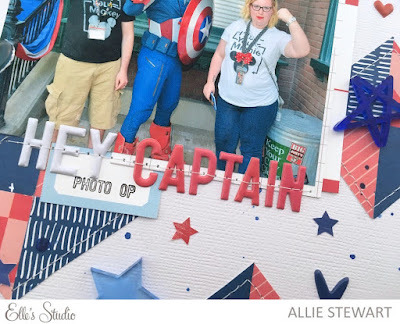 I used journaling cards from the kit as my layers, and glued down my photo and title. I completed the look with puffy stars from last month, and the adorable cork tabs! 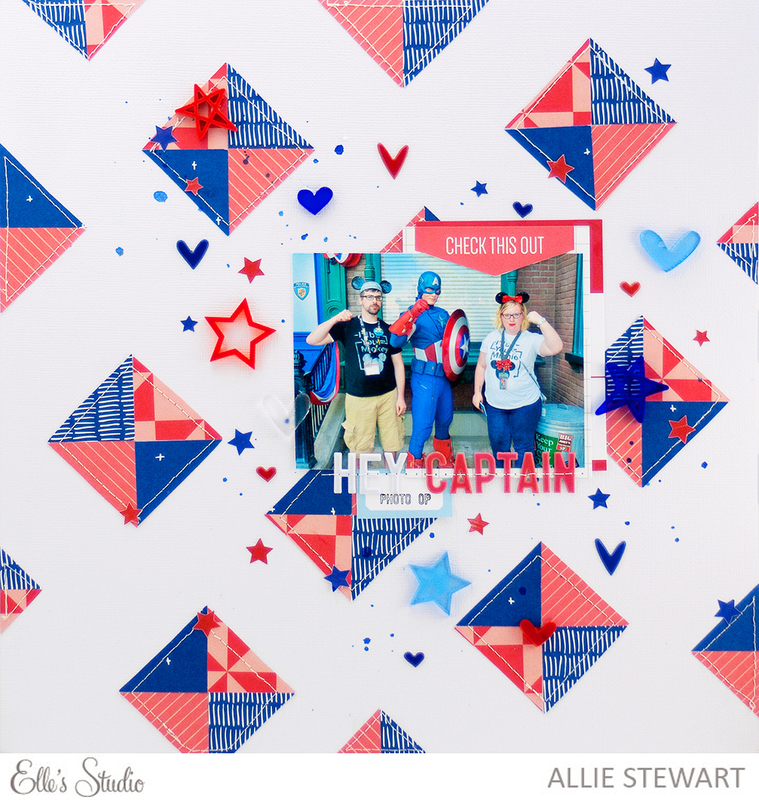 My next layout was inspired by the patriotic colors of the acrylic hearts and stars! 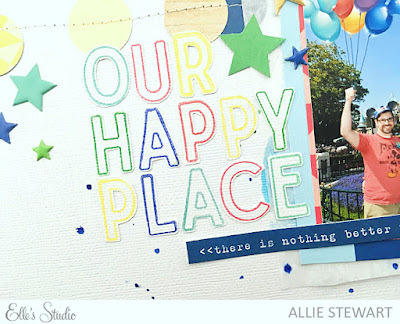 I used blues and reds from Sunny Days and Live Laugh Love to create fun quilted squares for a background. I stitched each square, and added lots of acrylic and puffy hearts and stars! Our picture with Captain America was perfect for this layout! 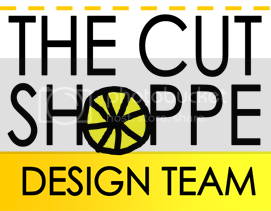 Subscribers can shop special discounted items now! Not a kit subscriber? 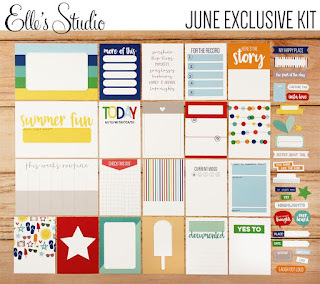 Subscribe today to lock in our June kit for $9.99 + shipping. Our kit subscription allows you to receive free (USA) or reduced (International) shipping on anything added to your box during our bundling period and receive special discounts on select items. When starting a new subscription on the 10th, please allow us up to 2 hours (during business hours) to switch your account to a subscriber account. You will receive an email with directions on how to access the discounted items and bundle products with your kit subscription. 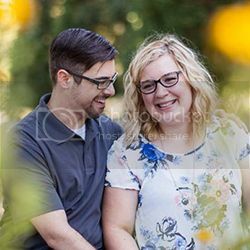 Our kits and add-ons are still available without a subscription!